” Aboriginal and Torres Strait Islander health leadership and authentic community engagement is crucial to achieving improved health outcomes. The Aboriginal Community Controlled Health sector is of vital importance in delivering effective, culturally appropriate care to Australia’s First Peoples; and service development and provision should be led by Aboriginal and Torres Strait Islander health organisations where possible. Extract from The Royal Australasian College of Physicians (RACP) pre-budget submission for 2017-2018, Healthy people, Healthy Lives, which outlines key health funding recommendations for the Australian Government. The submission addresses various topics including child and adolescent health, Aboriginal and Torres Strait Islander health, preventive health, climate change and health, as well as health system reform.  funding for a national campaign to encourage conversations about end-of-life care preferences, and the development of flexible models of care that enable people to receive palliative care at home. Aboriginal and Torres Strait Islander people continue to experience poorer health outcomes than non-Indigenous Australians. The latest ‘Closing the Gap’ report found that Australia is not currently on track to close the life expectancy gap by 2031 – with the gap remaining close to ten years for both men and women. To address the inequity that exists between Aboriginal and Torres Strait Islander people and non-Indigenous Australians and improve access to care, continuing focus and appropriate funding is required. The National Aboriginal and Torres Strait Islander Health Plan 2013-2023 (NATSIHP) Implementation Plan in 2015 has not been supported with sufficient, secure funding and resources, which is risking its success. Funding uncertainty and changes creates significant issues for the continuity of services to patients and for organisations in retaining and building their capacity. The RACP strongly supports existing programs to improve equitable access to specialist care, including the Rural Health Outreach Fund (RHOF) and Medical Outreach Indigenous Chronic Disease Program (MOICDP). The RACP recommends that the Australian Government continue its investment in these programs, undertaking evaluation to ensure the funding models are achieving positive health outcomes for Aboriginal and Torres Strait Islander peoples. 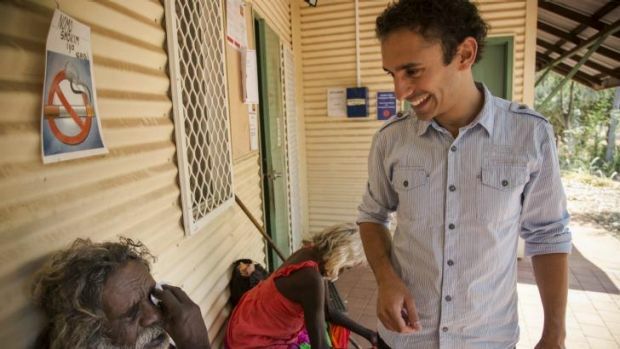 Given the recent focus by the Australian government on improving mental health and reducing suicide rates in Aboriginal and Torres Strait Islander communities, the RACP supports the analysis, reporting and implementation of evidence-based solutions, with input from and led by these communities, to improve the quality and delivery of mental health promotion and suicide prevention services. The RACP supports the establishment of clearinghouses which enable effective access to relevant, high quality information and resources to support these efforts. Allocate secure long-term funding to progress the strategies and actions identified in the NATSIHP Implementation Plan. Provide secure, long-term funding for the Rural Health Outreach Fund (RHOF) and Medical Outreach Indigenous Chronic Disease Program (MOICDP). Allocate sufficient and secure long-term funding to the Aboriginal Community Controlled Health Sector to support the sector’s continued provision of Indigenous-led, culturally sensitive healthcare. Build and support the capacity of Indigenous health leaders by committing secure long-term funding to the Indigenous National Health Leadership Forum. Reinstate funding for a clearinghouse modelled on the previous Closing the Gap clearinghouse, as recommended in the latest draft of the Fifth National Mental Health Plan. A clear, appropriately funded, nationally-coordinated strategy for preventive health must be prioritised in the Federal Budget. Preventive health measures can have a powerful impact on the overall health of a population, particularly as the number of Australians living with chronic conditions continues to grow. Chronic illnesses such as heart disease, stroke, kidney disease, cancer, and type II diabetes account for 85 per cent of the burden of disease in Australia. As a causal factor in more than 200 disease and injury conditions, it is clear that alcohol is a major risk factor for chronic disease, and efforts to reduce alcohol consumption must be central to preventive health measures. Alcohol-related harms create enormous social and economic costs to Australian society, with estimates putting the annual costs of alcohol misuse at between $15 billion and $36 billion. The RACP calls on the Australian government to increase funding for alcohol treatment and prevention services, with specific funding allocated towards making these services available outside major metropolitan centres and to groups at greatest risk, including young people, risky drinkers and Aboriginal and Torres Strait Islander people. The RACP has long considered the WET and rebate to be particularly dangerous as they encourage the production and consumption of cheap wine, whose low price makes its attractive to underage and problem drinkers. The RACP is very disappointed that the Australian Government has watered down its proposed tightening of the WET rebate announced in the 2016-17 Federal Budget. The RACP considers this a backward step in efforts to reduce the harms of alcohol. • Develop a national preventive health strategy to address and lower risk factors for preventable illnesses and diseases. • Increase funding for alcohol treatment including workforce development to address unmet demand for treatment. • Increase funding for prevention services in order to reduce the incidence of alcohol use disorders. • Reform alcohol taxation to introduce a volumetric taxation system for all alcohol products and abolish the Wine Equalisation Tax (WET) and rebate. • Allocate a proportion of the increased revenue raised from volumetric taxation to funding alcohol treatment and prevention services. RACP President Dr Catherine Yelland said that the Australian Government must commit sustained funding to ensure the Australian healthcare system is able to support the health needs of all Australians. “We need a health system that gives all Australians the best chance of living long and healthy lives; offering high quality, patient-centred care underpinned by clinical best practice. “We need a system that is innovative, with a focus on integrated care and preventive health so that unnecessary health costs and avoidable illnesses are minimised. “RACP members provide specialist medical care to Australians at every stage of their lives and their recommendations to the Government on healthcare policy are summarised in this submission. We hope the Australian Government is listening closely,” said Dr Yelland. The RACP trains, educates and advocates on behalf of more than 15,000 physicians and 7,500 trainee physicians across Australia and New Zealand. RACP is committed to developing health and social policies which bring vital improvements to the wellbeing of patients. The College offers 60 training pathways. These lead to the award of one of seven qualifications that align with 45 specialist titles recognised by the Medical Board of Australia or allow for registration in nine vocational scopes with the Medical Council of New Zealand.